Posted on August 24th, 2018. I’ve been to St Barts a lot. I try to get there at least once a year. I’d like to share with you some tips and knowledge drawn from my long experience of this beautiful Caribbean island. When there are so many Caribbean islands to choose from, why choose St Barts? There is a reason why the rich and famous flock to St Barts year after year. Imagine the south of France with all its wonderful culture and chicness and then combine that with the beauty of the Caribbean. It’s a totally winning combination. 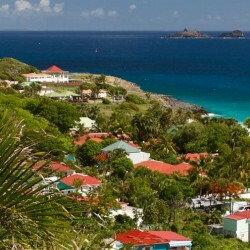 St Barts is also one of the safest places in the world. They say you can leave your purse in your convertible car, go for lunch and it will still be there when you return several hours later. St Barts is truly one of the most beautiful of the Caribbean islands. It is so tiny that you can drive around in an hour, yet it has 22 stunning picture postcard white sandy beaches. It has some of the world’s best restaurants. The culture of food and wine is greatly enhanced by the French culture. If you love fashion and shopping, there is nowhere quite like it. Island chic is brought to a whole new level on St Barts, and you will also see the world’s best and most exclusive designer brands in the capital of Gustavia. The list is absolutely endless, but above all, the appeal of St Barts is often in what it doesn’t have! There are no casinos, no high-rise buildings, no golf courses, no crime and above all the St Barts villas are some of the best I have ever seen on my travels around the world. How do I get to St Barts? The journey to St Barts is wonderful and one of my favourite parts of visiting the island. Most people who are coming from the US will enter via San Juan, Antigua or St Maarten. From here you take a small aircraft to St Barts. There are several carriers including Trade wind, Winair and St Barth Commuter. Most of the planes are 8 to 12-seater aircraft, and consequently, they fly low, and the views are breathtaking. Coming from San Juan, you will see the British Virgin Islands, The USVI, Anguilla, St Martin and many more. The landing is also great fun and very beautiful. For those who don’t like small aircraft, there is a great ferry service from St Martin that takes about 40 minutes. Sometimes people ask me is it worth the effort of taking the extra plane and my answer is always a thousand per cent yes. If you are coming from Europe, there are a number of gateways of entry. 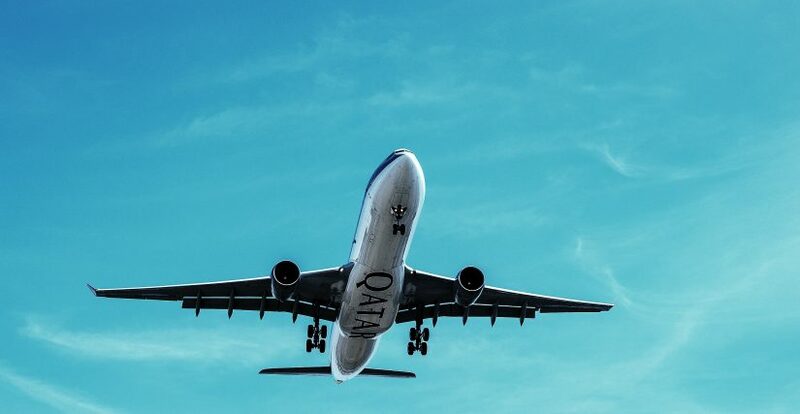 You can fly to Antigua with either British Airways or Virgin Atlantic and then get a connecting flight to St Barts with Tradewind Aviation. Tradewind offers an amazing service to St Barth similar to private jet service. It is also possible to fly with Air France to St Maarten and then take a connecting flight with Winair or St Barth Commuter. This ferry has 2 boats operating and leaving from opposite ends of St. Martin- one from Marigot harbour and one from Captain Olivers in Oyster Pond. Guests will take a taxi from the St. Martin airport to their docks for departure to St. Barth. Contact Number: 011 590 590 871068. This ferry travels from Bobby’s Marina in Dutch St Maarten to Gustavia in St. Barth. Crossing time is approximately 40 minutes. Whichever way you decide to travel to St Barts, the journey is just so great, and when you get there, the destination is breathtaking. Where is the best place to stay when you get to St Barts? 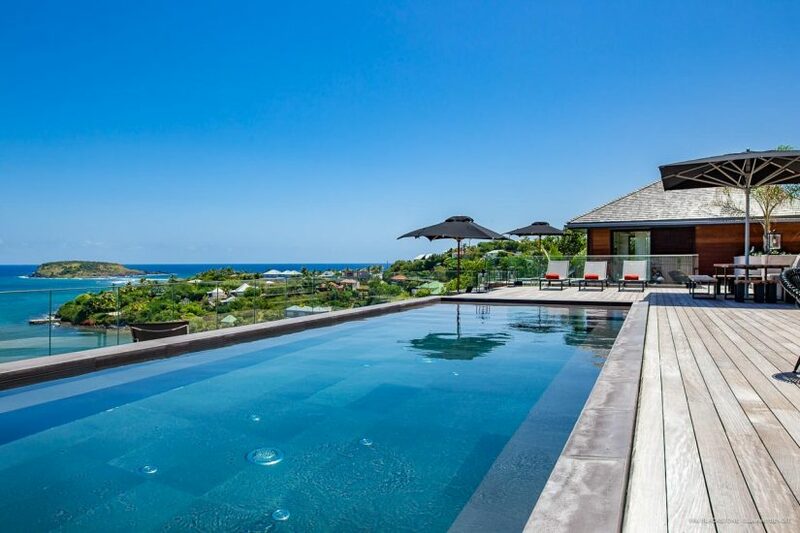 St Barts has more gorgeous villas for its size than any other island in the world. 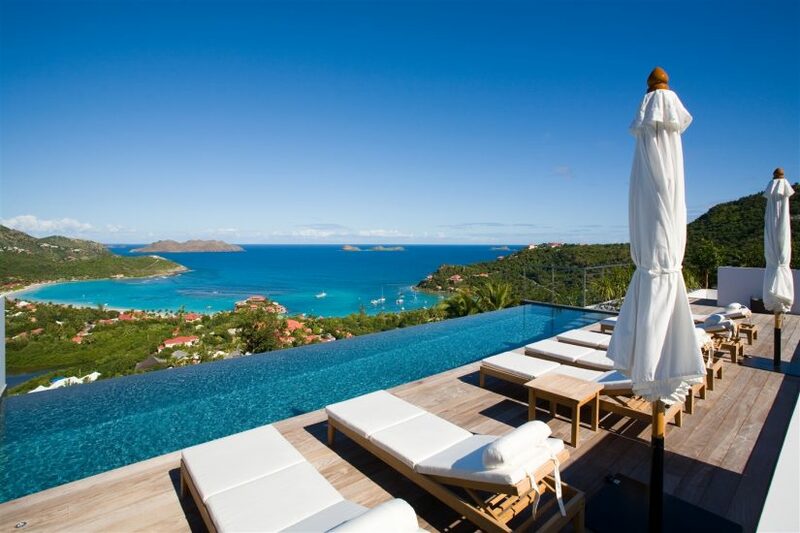 A St Barts Villa is all about luxury, and every property is more beautiful and luxurious than the last. First-time visitors to St Barts quite often ask us for a villa on the beach. But second-time visitors to this luxurious island almost always ask us for one of the villas on the hillside. There are two reasons for this, the views are totally breathtaking, and many of our Exceptional Villa clients like to try a different beach every day. We organize beautiful gourmet picnics for them and off then go! A very important point to mention is that we have many VIP villas which come with access to the facilities of the famous Eden Rock Hotel. So not only do you have all the space and privacy of your own dream home and private swimming pool, you get to have a delicious continental breakfast delivered each day, the best online concierge service as well as the use of the facilities of the islands best hotel. When you are choosing a villa, it is very important to get impartial and expert advice. Speaking to someone who really knows all the villas intimately and also knows all the things to do in St Barts make an enormous difference in ensuring you experience your dream vacation. I have had an enduring passion for St Barts and its villas and have written at length about why I love the villas on this amazing island. What celebrities like to visit? When you visit St Barts you are likely to see some very familiar faces strolling along the beaches and enjoying the restaurants. Some of the islands most recent visitors include Pippa Middleton’s whose in-laws actually own the Eden Rock Hotel, Beyoncé, Jaz Z, Gwen Stefani and the Victoria secret models are often seen on photo shoots in various parts of the island. The Kardashians were on the island recently and actually stayed at one of our lovely villas called La Banane. Many of our visitors are surprised at just how much there is to do and see for such a tiny island. It is definitely worth taking a day driving around the island and exploring all the gorgeous beaches and beautiful scenery. I recommend doing this early in your vacation so that you can go back and spend time on some of your favourite beaches later on in your stay. 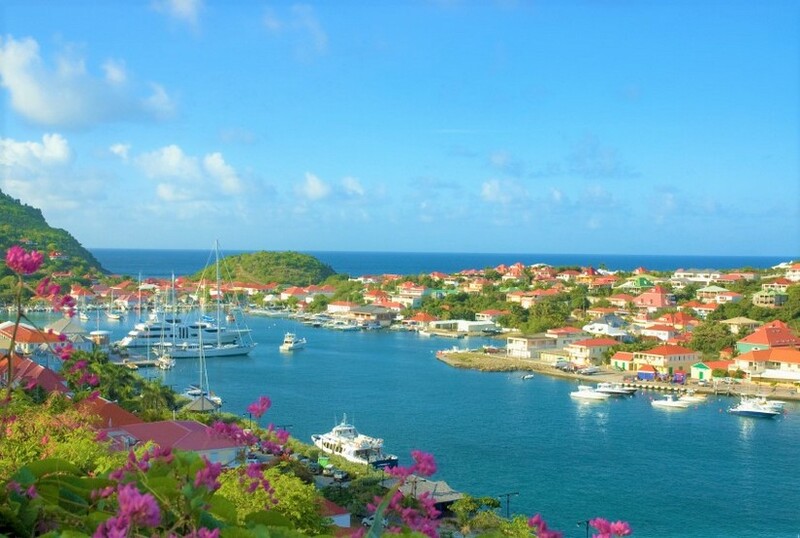 The capital is called Gustavia, and it is absolutely charming. It is full of designer shops and gorgeous local boutiques, full of vibrant pieces that make up St Barts fashion, as well as amazing restaurants and bars. 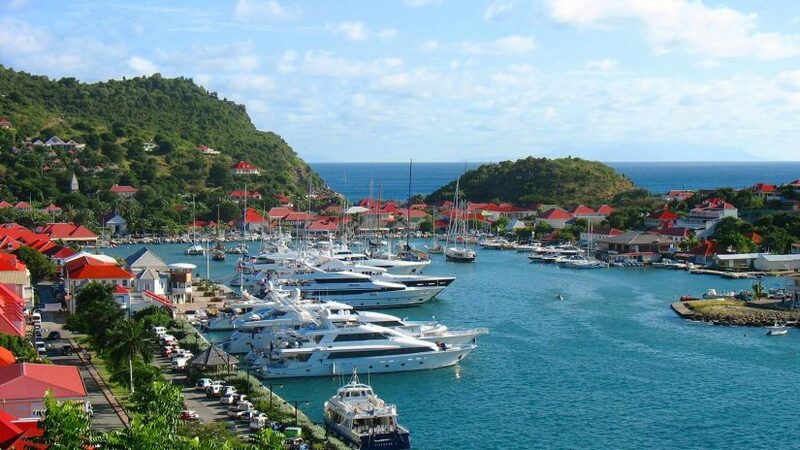 Gustavia has its own harbour and which is often full of mega yachts. I also love to visit St Jean. It is a small town close to the airport and a great spot of bars, restaurants and individual boutiques. If you like Island Chic style, and shopping in St Barts, there is nowhere quite like St Jean. 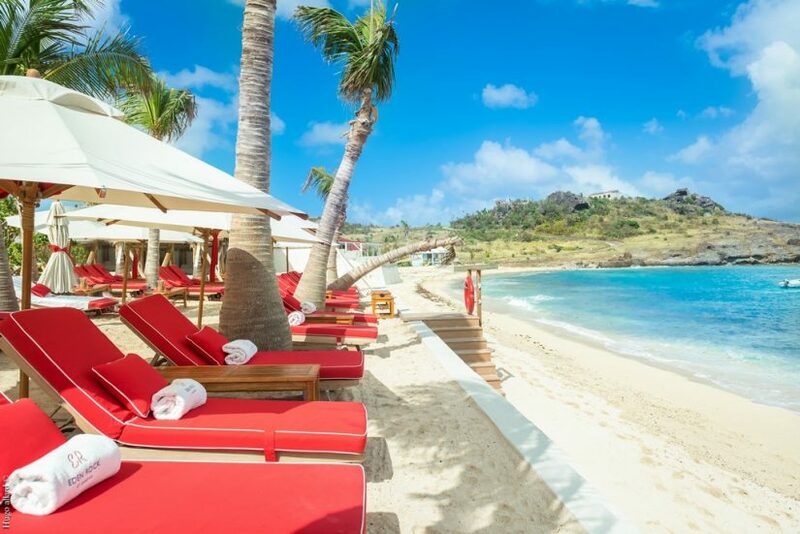 It is also where the famous St Barth Nikki Beach Club is located together with the equally famous Eden Roc Hotel. Many of the restaurants have fashion shows at lunchtime which can be a bit dangerous on the pocket if you have consumed a couple of glasses of Rosé! My personal favorites are La Plage which has been renamed Pearl Beach and the beach side restaurant at the Isle de France. If you like to be active, there is amazing hiking and water sports of all kinds. Sailing, boating, beach volleyball and tennis are particularly popular. 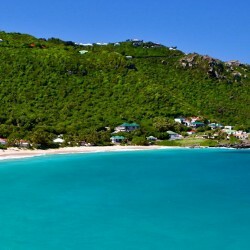 But above all, a visit to St Barts is about relaxing and enjoying the beautiful scenery. If you want to find out more about all the best things to do in St Barths, then take a read of The Ultimate St Barts Travel Guide. What is the best area to stay on the island? There is no right answer to this question. St Barts is small, so no matter where you are you are able to drive to most parts in 20 to 30 minutes. If you especially like to walk to restaurants, then we recommend you stay close to Gustavia or St Jean. But a lot of the best St Barts villa rentals are a five or 10-minute drive from the centre of the towns and well worth the extra couple of minutes. Where do I eat when I am on the island? 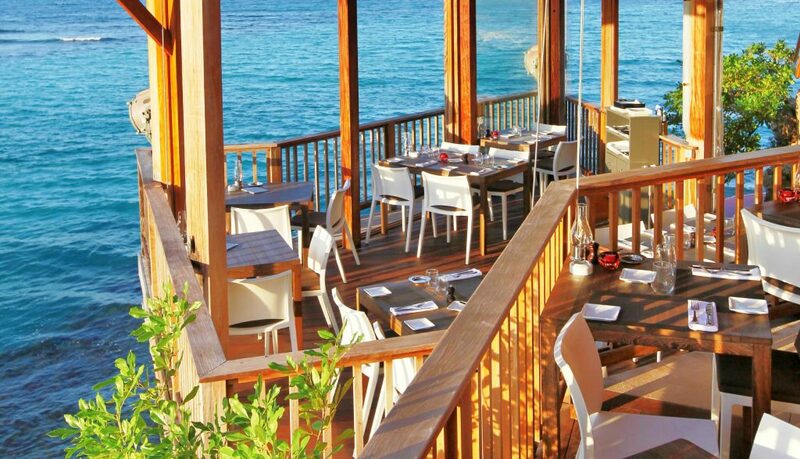 For such a tiny Island, St Barts Restaurants are some of the best in the world. There are literally hundreds of great places to eat. The best part of eating out in St Barts is that not only do each of the restaurant’s serve delicious food, but it is also really healthy. 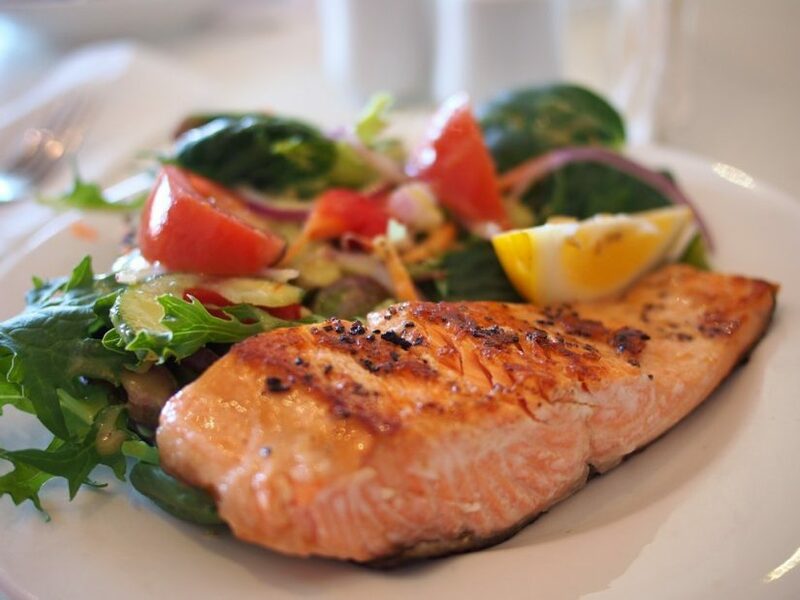 The chefs use the freshest of locally caught fish which is supplemented by organic produce is flown in daily from Paris. The cuisine is an eclectic mix of French, Japanese and Caribbean. If you want to read more, take a look at our very popular blog. One important point is that if it is you are going over one of the busier holiday seasons, then pre-bookings are essential. Ask our Exceptional Villas Concierge Team to help you. Also, if you book one of our Eden Rock VIP villas, then you will receive the most amazing complimentary concierge service on the island. The team get all the best tables! Do I need to rent a car when I am on the island? Yes. I recommend everyone rents a car before they arrive in St Barts. Cars are in high demand especially during the peak weeks. 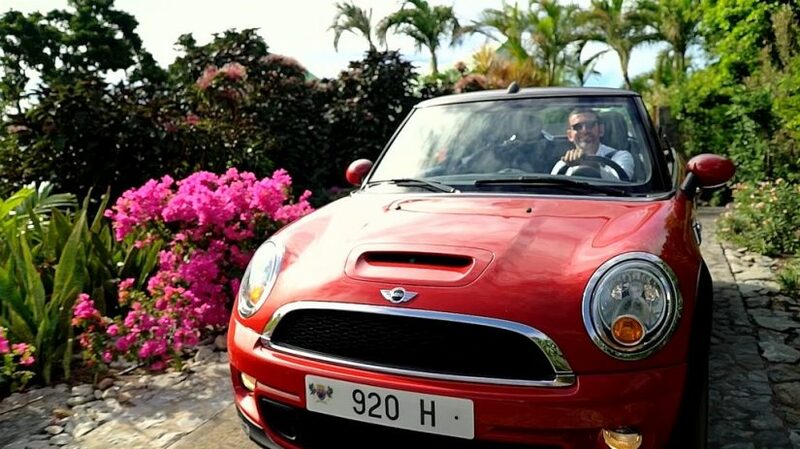 The most popular car to rent in St Barts is an open top mini, and it is a great way to get around the island. The roads are narrow and windy, so small cars work well. The views are spectacular everywhere on St Barth, so driving around St Barts with the roof down enables you to enjoy the view even more! However, check with your villa specialist or your booking agent as to where your villa is located. Access to many of the villas especially the ones with the most spectacular views are via very steep road tracks, and I highly recommend getting a jeep or four-wheel drive. On our first trip to St Barts, we stayed in just such a villa and got spectacularly stuck halfway up the road!! In order to get to the villa, we all had to get out of the car with our luggage and walk the rest of the way! If you do prefer to take a cab or taxi especially at night time, bear in mind, you cannot hail them off the street, but it is easy enough to get them. What are the islands best beaches? 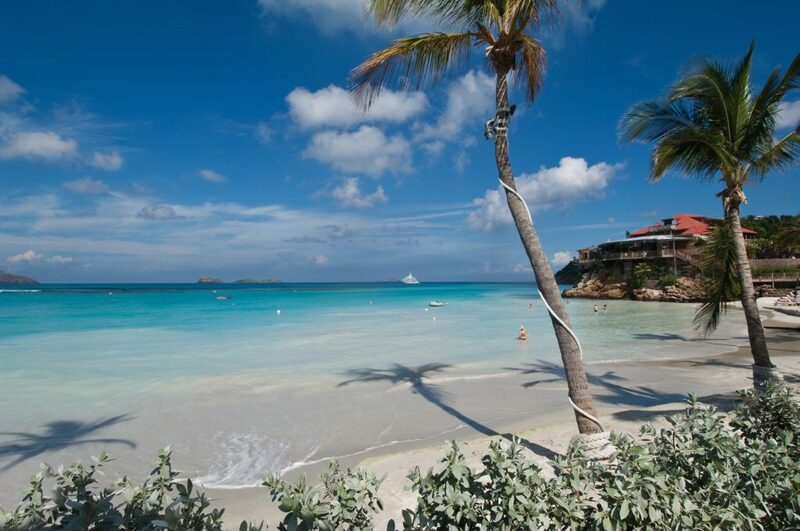 There are 22 beaches in total on St Barts, and each of them is lovely. We do have a list of our favorites which includes St Jean Beach, Saline Beach, Gouverneur Beach, Colombier Beach and Flamands Beach. Colombier Beach is particularly special as there are only two ways to get there. You either hike about 40 minutes along a spectacular cliff top, or you take a boat. What voltage do they use in St Barts Villas? The voltage in St Barts is 220 volts and the plugs required are the same as in mainland Europe. 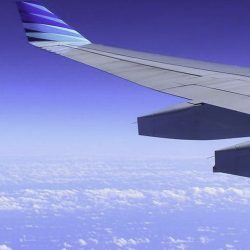 If you are travelling from the United States or the United Kingdom, you will require an adaptor for all your electronic items. Most vacation rentals in St Barts will be able to provide you with adaptors, but it is always good to bring one yourself as well. What currency do they use in St Barts? All villa rental prices are in US dollar. However, the local currency is the euro. Almost all the shops and restaurants will take US dollars if you forget to bring euro, but it is more cost effective to exchange your dollars to euro in advance of your arrival or else in one of the local banks. What is the tipping policy on the island? If you are staying in one of the luxury villas, we recommend 10-15 dollars per day per occupied bedroom. In restaurants and bars, it is generally accepted to tip between 10 and 20% depending on the service. What language do they speak on St Barts? The main language on St Barts is French. St Barts is officially a collectivity of France, and therefore the culture is very French blended with the warmth of the Caribbean. It truly is a winning combination. English is very widely spoken. However, you definitely won’t have to worry, if you don’t speak French. 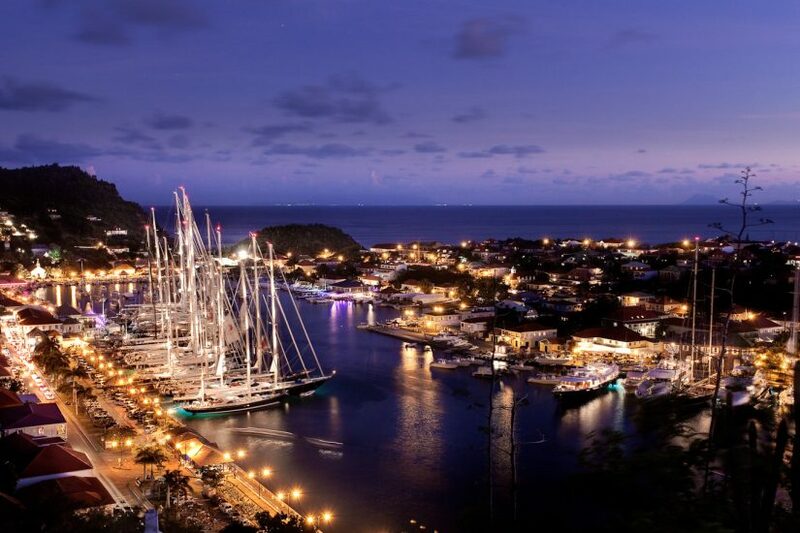 Is it possible to arrive in St Barts at night time? No. The St Barts runway is the second shortest commercial runway in the world. It is called STOL which means short take-off and landing. The pilots who fly in are very experienced but are only allowed to take off and land during daylight hours. St Barts is in the tropics and therefore is hot year-round. The temperatures generally don’t change very much from 85 to 90 degrees during the day and 2 or 3 degrees less in the evening time. You will rarely need a jacket or a cover-up. It does feel hotter in the summer months due to high humidity. If you don’t mind it being a bit humid, it is a great time to visit because you will be able to get into all your favourite restaurants and the rates for accommodation are at their best value. The only months we don’t recommend you visit St Barts are during September, and the very beginning of October as most of the restaurants, hotels and shops are closed during this time. What do I call the Island? – I have heard many different versions? All the versions are correct. It really just depends on where you are from. The official name of the island is Saint Barthélemy. The locals and anyone who hails from France or French-speaking countries, call the Island St Barth. If you are travelling from the US and Canada, the most popular name is St Barts. 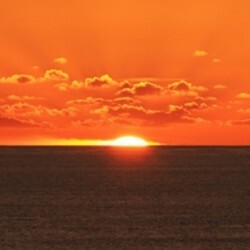 If you are travelling from the UK, then St Barths is the common pronunciation. I have visited many many times over the years, and am delighted to provide you with all of my best insider’s tips for your visit. If you have any questions that I have not covered leave a comment below.